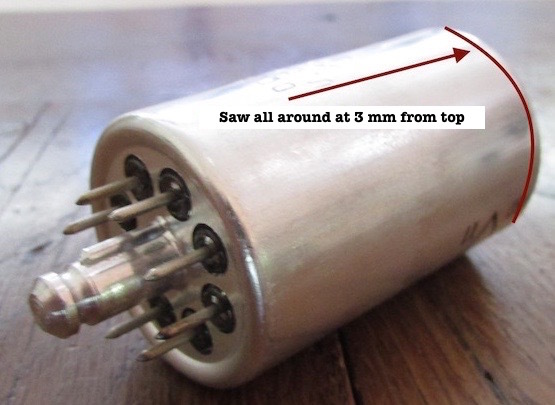 This small project explains how to build a replacement for all European 4-pin tubes type A410 or similar, with a filament voltage of 4V and an anode voltage not exceeding 90V. 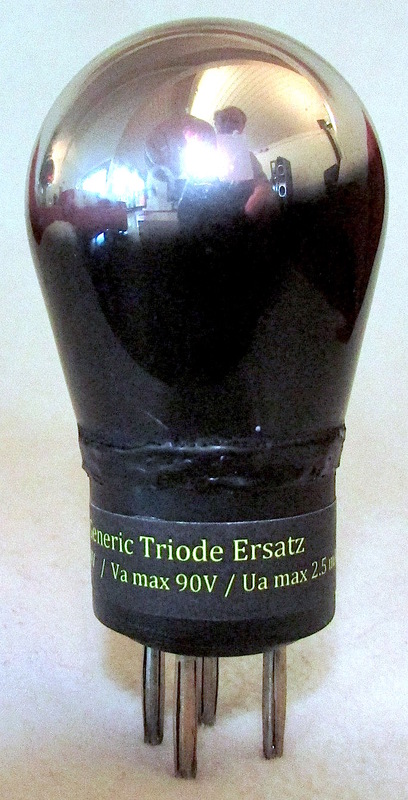 The basis for this replacement is the very common 2J27L Russian pentode you can buy for very little money on ebay. First you need to cut the external aluminum case with a jigsaw at about 3 mm from the top. 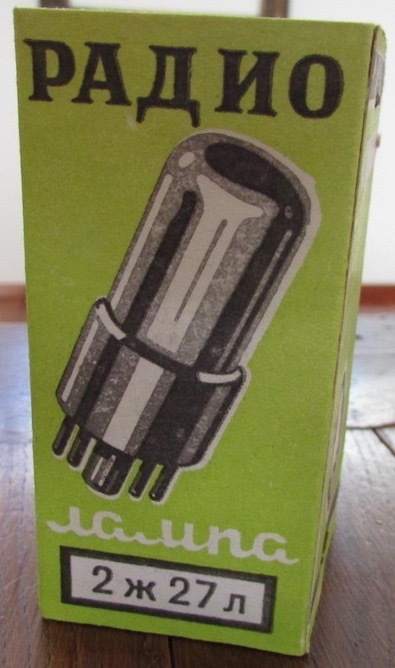 I suggest to turn the tube as the blade enters inside the case to avoid any damage to the glass bulb. The tube can then be extracted very easily. This is the diagram. Pins are seen from below. 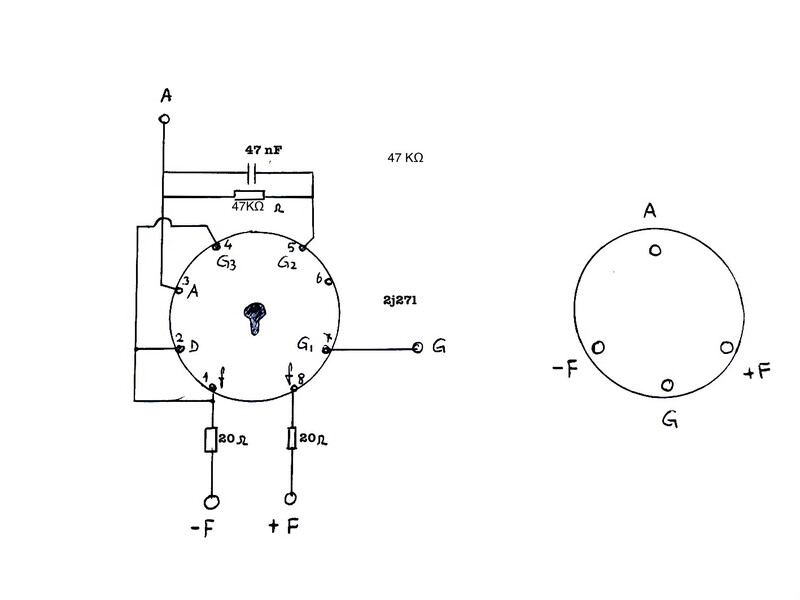 Two resistors from 20 to 22 ohms reduce the filament voltage from 4V to 2.2V needed for the pentode. The screen grid (G2) is connected to the anode (A) through a 47 kohm resistor and a 47 nF capacitor. 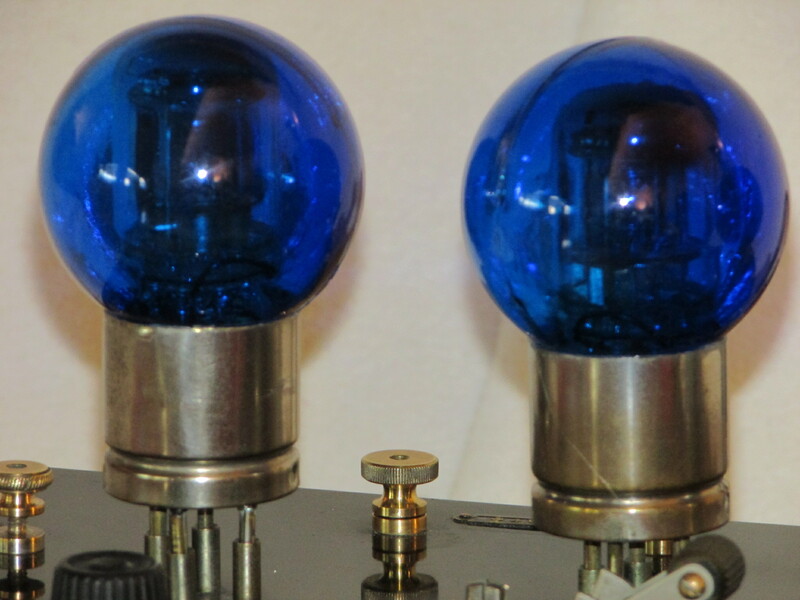 This allows the pentode to work configured as a triode avoiding excessive anode current. The capacitor should have a working voltage of not less than 100V. My L.G.M. Radiovalise visible and audible in the “tube radios” section is equipped with this tube as detector, My Lemouzy H.D.4 works with 4 of these tubes. My advice: check the result before you close and glue the tube.